Munnar, the beautiful hill station in Kerala, which is also known as the “Kashmir of South India” in blessed with unique geographical features that makes it a perfect place for travel and adventure activities. Ultimately, Munnar is one of the most popular travel destinations in south India and this hill station is famous for its amazing cool, chill climate and natural beauty. Travelers from different parts of the world are seen visiting this place during the top tourism season. The long stretch of tea plantations, high altitude hills, several waterfalls, lakes, dam, resorts and other attractions make Munnar a must to visit travel destination in Kerala, South India. When we speak of Munnar as an adventure destination in South India, there is no other beautiful adventure destination that can match Munnar. The panoramic geographical beauty and characteristics makes the hill stations of Munnar a perfect adventure destination in Kerala. The varied landscape and features of Munnar makes if perfect for a varied number of adventure activities which are worth experiencing. Munnar might not be a dedicated adventure destination, but along with your vacation travel, you can indeed enjoy the available adventure activities at Munnar. Travel and adventure activities in Munnar have to go hand-in-hand, if you really want to enjoy your trip to Munnar. Here are some of the major adventure activities that can be undertaken at Munnar along with your planned tour itinerary. All these adventure travel activities at Munnar are based on the different geographical features available at Munnar that can be utilized for adventure activities. The wide range of tea plantations and forests present at Munnar provides ample opportunities to enjoy trekking at this beautiful hill station in Kerala. Munnar provides an amazing opportunity to enjoy wildlife trekking along the rough terrains and hills of Munnar along with sightseeing and bird watching. Trekking is regarded as one of the most cheapest adventure activities in Munnar. 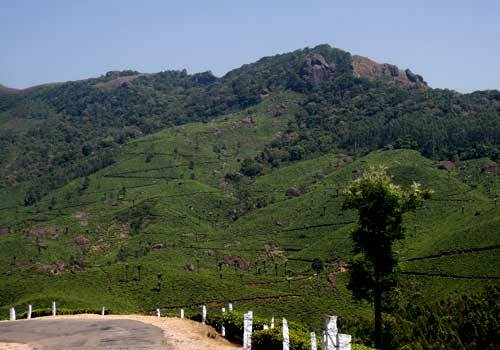 Most of the hills in Munnar are steep enough to enjoy adventure activities such as hill climbing. The hill climbing expeditions helps you to shed some calories and also helps you in knowing more about the geographic characteristics of this hill station. Here also, you will be able to enjoy the beauty of the hills along with wildlife watching. There are plenty of rock hills in Munnar which can be utilized for adventure activities such as rock climbing. There are a lot of organizations that assists in arranging a rock climbing adventure experience at Munnar and if you physically fit and strong, then it is worth taking a rock climbing expedition on the hills of Munnar. Wildlife camping is another major essence of Munnar tourism and most of the tourists come here in the hope of enjoying a memorable wildlife camping experience. There are a lot of destinations in Munnar that are considered as perfect wildlife camping locations and you can really enjoy a unique wildlife camping experience on the majestic hills of Munnar. There are medium type waterfalls and rivers in Munnar which are considered as a major option for aquatic adventure activities. The waterfalls and rivers in Munnar are also found to be a better option for white water rafting for adventure lovers who love to play with the heavy stream of water. A lot of clubs and organizations are available to arrange white water rafting adventure trip in Munnar for the travelers from different paces. The huge and steep mountains of Munnar are well suited for a wide range of adventure activities and the mountain biking along the hills of Munnar is something that is worth enjoying. Adventure lovers would dare to take mountain biking adventure at the hills of Munnar and the varied geographical features of the hills of Munnar will provide a perfect mountain riding experience for all. Mountain cycling is also something that is of huge popularity in Munnar and the wild hills, roads and other geographical features have contributed more to the growing popularity of mountain cycling adventure in Munnar. If you have enough physical fitness and will-power, there is nothing that can stop you from enjoying a mountain cycling experience along the hills of Munnar. 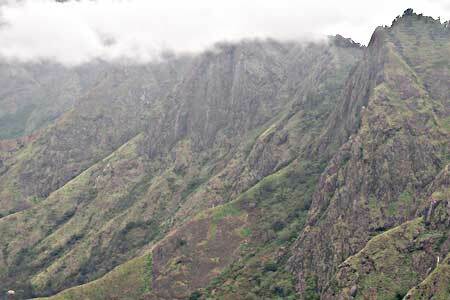 Of late, Munnar is seen as a major paragliding destination in south India and the unique geographical features of Munnar have contributed a lot towards its popularity. There are a number of organizations that conduct paragliding activities at Munnar and if you are interested you can also get involved in the amazing paragliding adventure experience at Munnar. 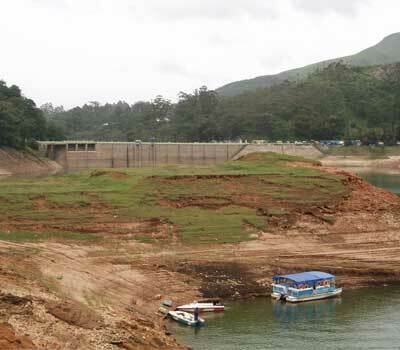 The presence of dams and lakes in and around Munnar makes this hill station a best place for activity such as boating. Most of the lakes at Munnar provide opportunity to enjoy a boat ride. The fees for taking a boat ride at Munnar is relatively low and you can really enjoy a boating trip with your family, dear ones and friends on the lakes of Munnar. Boating at Munnar is considered to be the least adventurous of the all above mentioned adventure activities. If you are a serious traveler with sufficient interest in adventure activities and nature watching, then you can really try both of them at Munnar. There are a lot of travel agents and tour operators that can help you in getting the best travel package for enjoying adventure activities at Munnar. So rather than waiting too long, just find the best tour operator and book your tour in advance. Also note that it is better to avoid any type of adventure activities in Munnar during the monsoon season, when it rains a lot causing various natural disasters. The monsoon season usually stays in Kerala during the time from June to September annually. This entry was posted in Munnar and tagged adventure activities in munnar, adventure holidays in munnar, adventure in munnar, adventure spots in munnar. Bookmark the permalink.